Home / General News / What a Summer! What a season! It started with a literal bang with the magnificent Opening of the Season festival down at Hobie Beach on 16 December, the weather was PERFECT – a beautiful balmy evening with a fireworks display that was world class! It certainly set the scene for the amazing Christmas and holiday season we’ve just experienced in Port Elizabeth with jam packed beaches and wonderful weather. 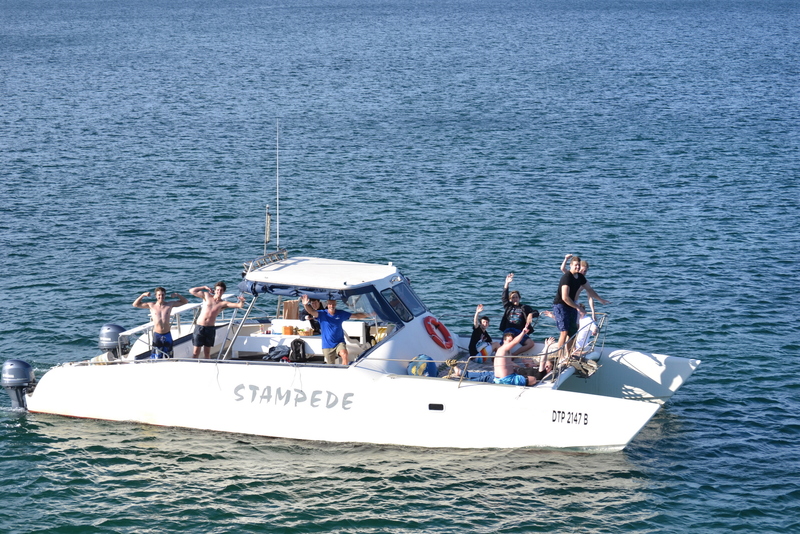 Stampede Cruises has certainly been very busy thanks to the wonderful enthusiastic support we have enjoyed from many visitors as well as locals. Cruises have largely been confined to the Waterfront with most of our guests enjoying their first viewing of the beach front for the first time from out at sea. 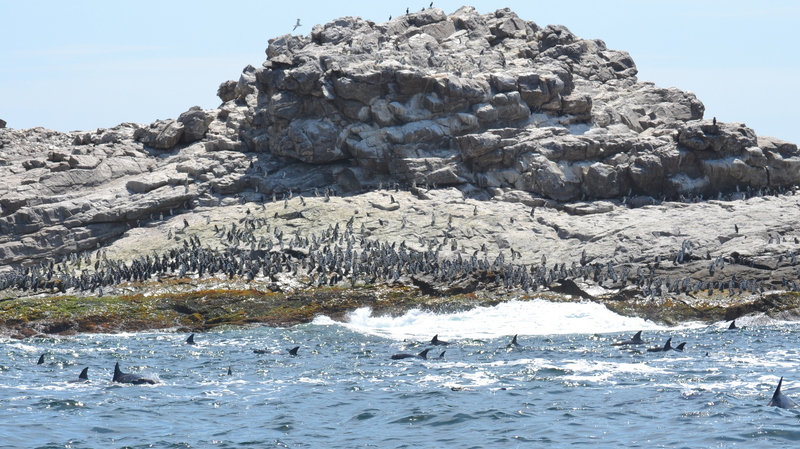 Dolphin sightings were a bit erratic – perhaps because we currently have exceptionally warm water in the bay at close to 23c which has resulted in large shoals of small bait fish spread over a very large area. 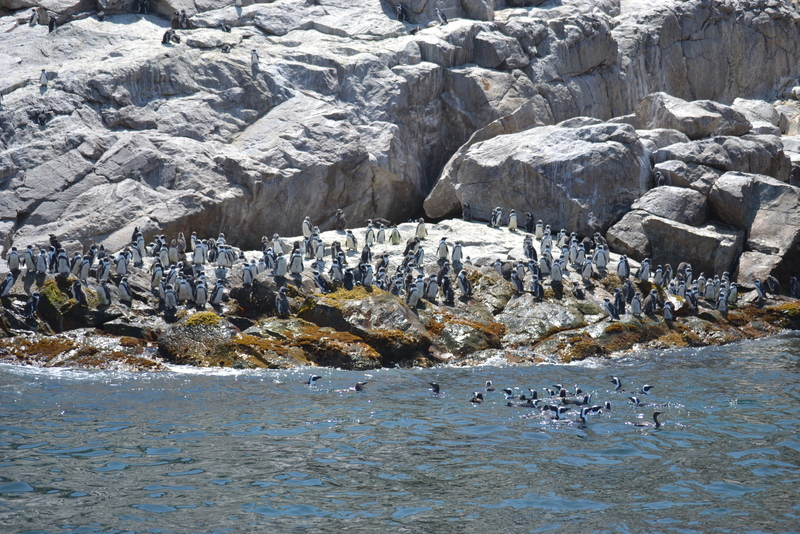 Dolphins, Penguins, Gannets and the many other species which feed on these small fish have also dispersed to take advantage of this temporary bonanza with plenty to be had right throughout our very large bay. The Squid fishers have also had it good with great catches of local ‘Chokka’ – we have been able to witness this up close during our Waterfront cruises when we return close by the busy fishing boats with all the Squid caught on hand lines. 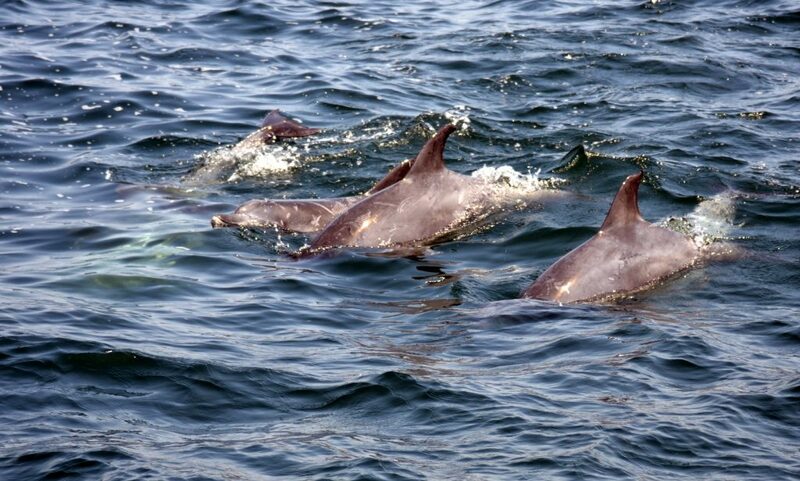 Apart from regular Bottlenose Dolphin sightings, we were really lucky to see a family of about 10 Humpback Dolphins recently not far off Humewood Beach. They are much slower and more laid back than their Bottlenose cousins and typically stay close inshore in shallow water. They are easily distinguishable by the hump in front of their dorsal fins.